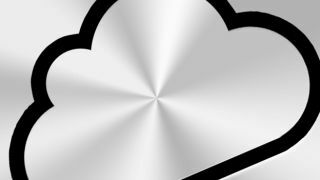 Apple's iCloud service hit a bit of a misstep today as multiple services have been suffering partial outages for several hours. If you're struggling to send or download attachments in iMessage, or use iCloud Documents, Photo Stream, iPhoto Journals or Backup and Restore, then you're probably one of the 1% of Apple users affected. Although 1% doesn't sound like many people, Apple itself crowed that over 300 million people now use the cloud service back at WWDC 2013 - that means that around 3 million people could be affected. Apple's status page indicates that iCloud has been suffering problems for at least six hours and there's no indication yet of when the problems will be fixed. It's not the first time things have got a bit, ahem, stormy for iCloud; back in April it, along with Game Center and Apple ID Services, had a bit of a wobble, while there was a bigger outage in July when iCloud and iTunes went down for around 20% of users. If you're having trouble with Apple services, let us know and we'll commiserate with you in the comments below. Service levels aren't the cloud's only issue - how safe is your data up there?